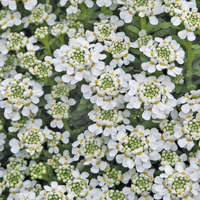 A sun-loving herb valued as an ornamental groundcover. Forms a dense, flat mat of evergreen, dark green leaves that are smothered in bright magenta-red flowers from early thru midsummer. In fall, the foliage turns a beautiful bronze. Lovely between stones on a path or cascading over walls. 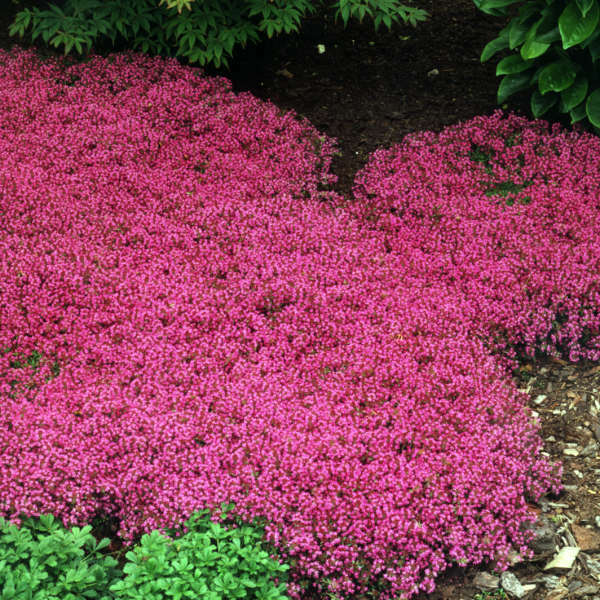 Creeping thyme is native to hot, dry Mediterranean regions. Consequently it thrives in similar conditions in American gardens. 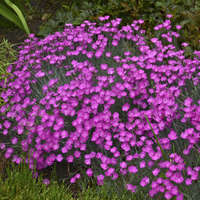 Plant it in full sun and moderately fertile, average to dry, well-drained soil. (Keep plants watered until they are established.) Thyme benefits from occasional shearing after blooming to keep plants full and bushy. It does not need to be divided to stay healthy, but may need to be thinned out to prevent spreading.